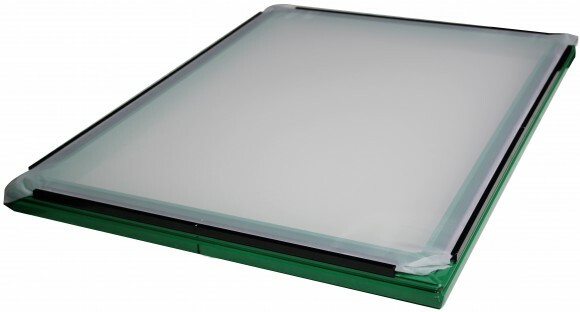 We are very excited to introduce the GreenScreen restretchable frame system. Not only can you save $15 -$20* every time you restretch a screen, you will be doing it in less than 2 minutes. No extra shipping costs. No cleaning and prepping your old ones for restretch and waiting days and weeks for their return. 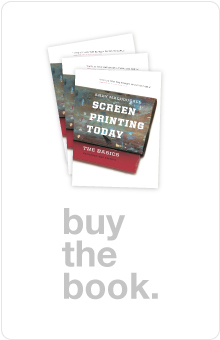 No buying more new screens because they are cheaper than re-using your stretch and glues. No cheap chinese mesh or delaminating glue that rips or lets loose after one or two uses. No hassles trying to use roller frames. 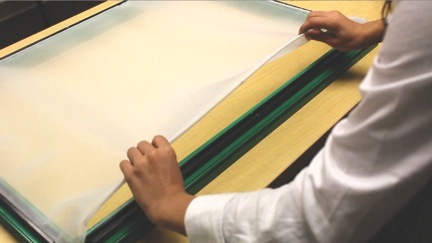 With Greenscreen, you purchase a reusable square sided frame, a stretching tool, and then buy 6 packs of mesh insert panels, in a range of mesh counts from 80 to 305 threads per inch. You can change a screen in less than 2 minutes. Insert the mesh panel in the frame TRAX. *Compared to published prices of online discount frame suppliers. Savings vary depending on mesh type and size.